Facebook is allowing advertisers to target individual users based on offline purchases. If you head to a department store to buy a pair of jeans, you might start seeing a lot of ads for pants on Facebook. For the first time, Facebook ads will target specific users based on their past buying history -- even if the purchases happened offline. 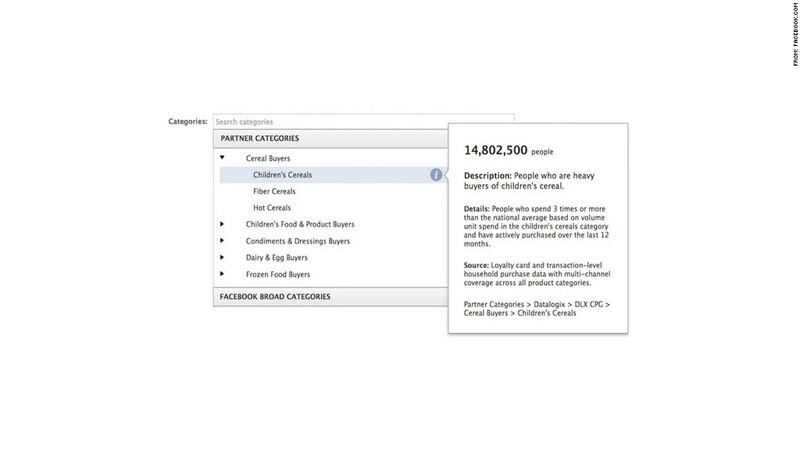 Facebook unveiled the new feature for advertisers, called "Partner Categories," on Wednesday. 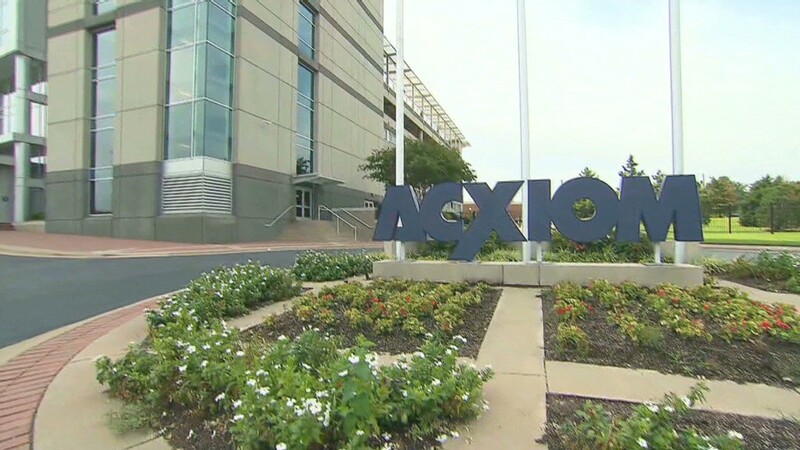 The feature works with information from massive consumer data companies Acxiom (ACXM), DataLogix and Epsilon. These are companies that know your online activity and what you've bought recently. Facebook (FB) Partner Categories matches the social network's user-generated data with the information from the data companies to create dossiers on its users. Facebook then groups those specific users into categories like "people who are heavy buyers of frozen foods," and advertisers can serve ads to those curated groups. Previously, advertisers could target only general groups based on user-supplied information: for example, women in California who list surfing as an interest. In a blog post about the new product, Facebook was quick to note that the data are anonymized on both sides. That is, while advertisers can target groups of specific users, they never know the identities of the users they're advertising to. Partner Categories advertisers see only the size of the group, and details about why these users were grouped -- for example, they're customers with a grocery store loyalty card who buy three times as much cereal as the national average. The pairing of these data sources is sure to incense critics of the company's data practices, though Facebook also noted in its post that "companies have long used this type of targeting off of Facebook." "We think that this new type of targeting is both more relevant for people and can be even more effective for advertisers," said Elisabeth Diana, spokeswoman for Facebook. "We think we can serve both in a privacy-safe way." At launch, advertisers can choose from 500 of these "partner categories," and further refine by data like gender or age. Facebook said users will be able to see how and why they were targeted for a certain ad, and they have the ability to opt out of ads from certain advertisers or from partner categories altogether. By adding this type of highly targeted advertising capability, Facebook clearly wants to create more value for advertisers -- which could result in more revenue for Facebook. The social network has over a billion users, but in 2012, the company's average revenue per user was just $5.32. That's only a 6% increase from 2011, and it's far lower than other companies that report the metric. Still, advertising remains Facebook's bread and butter. Ads accounted for 84% of Facebook's revenue in 2012, and the company has continued to release site updates that toe the line between calling attention to ads and not annoying users. For example, last month's News Feed revamp centered around a more visual design that also includes bigger graphics for ads in users' news feeds.